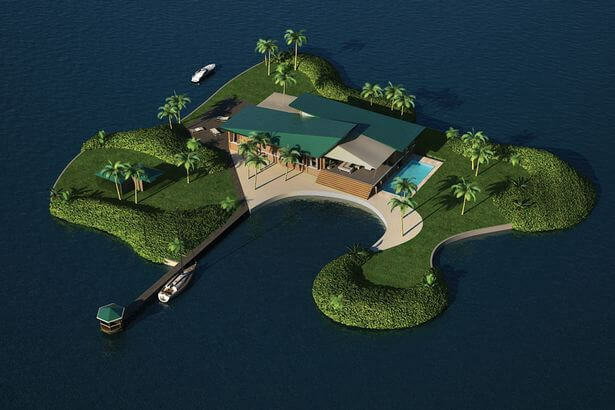 Want to own your own island but can’t find one in your desired location? 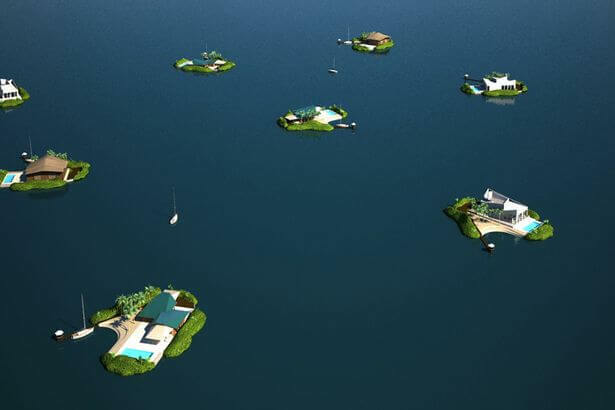 Such issues could soon be consigned to history – for the super-wealthy, at least – after plans were unveiled for the world’s first PORTABLE islands. These artists’ impressions show the self -sustaining, eco-friendly creations that will allow people to create their own getaways anywhere on Earth. 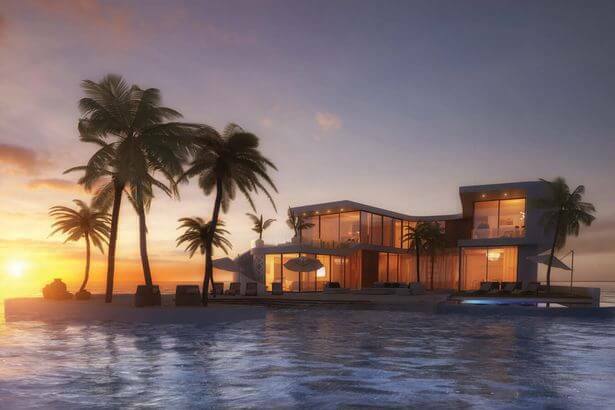 Each home will adhere to the customer’s every need – with the renderings including options such as swimming pools, boat docks and greenery. Amillarah Private Islands are the creative force behind the initiative, which will offer islands in all shapes and sizes. 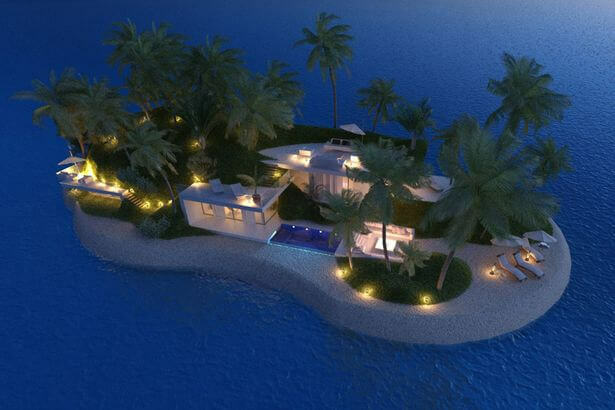 Their renderings show properties in the likes of the Maldives, Miami and Dubai, where Amillarah islands are already planned. 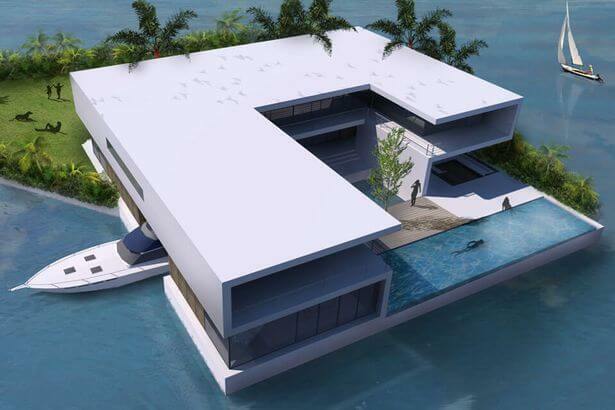 Where would you park your private island? Have your say in the comment box below. 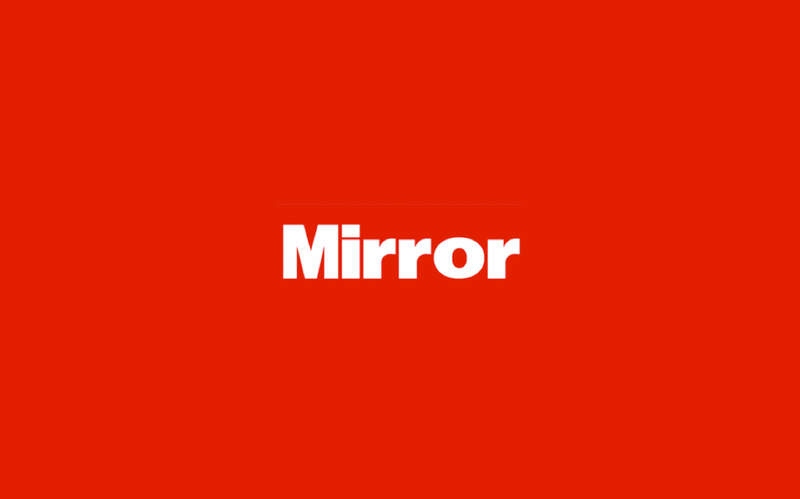 Amillarah is overseen by developers Dutch Docklands, who have teamed up with Christie’s International Real Estate for the project. 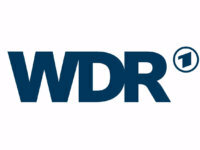 Dan Conn, CEO of Christie’s International Real Estate, said: “The opportunity to literally develop a private island on a body of water is a testament to Dutch Dockland’s skills in this arena. The designs were created by famed Dutch architect Koen Olthuis, who helped found Dutch Docklands, in 2005. 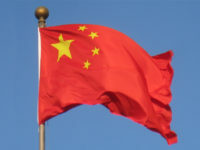 Each island is intended to keep environmental impact to a minimum using state-of-the-art technology. 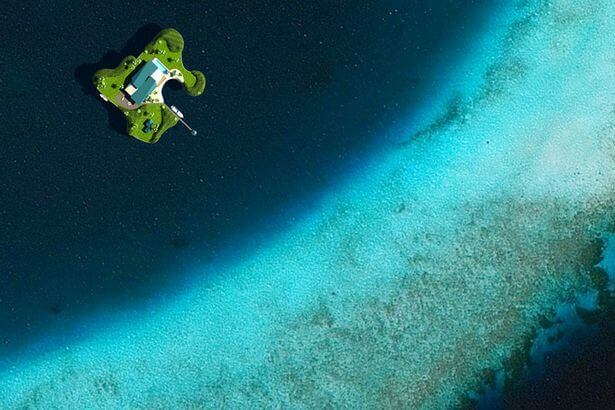 The company are already developing 10 properties with the Government of Maldives, which will create a lagoon 25 minutes from the nearest airport. 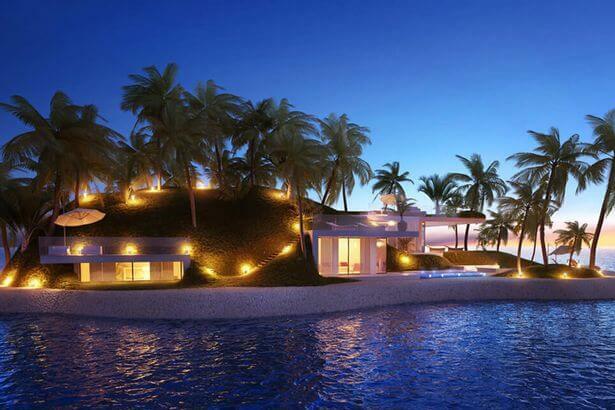 In Dubai, OQYANA Real Estate have signed a deal for 33 islands, while in Miami, 30 islands are set to be developed. Paul van de Camp, CEO of Dutch Docklands, added: “We’ve not only created a new luxury global brand with ‘Amillarah Private Islands’ but also a new industry of private island development to cater to our most discerning clients.